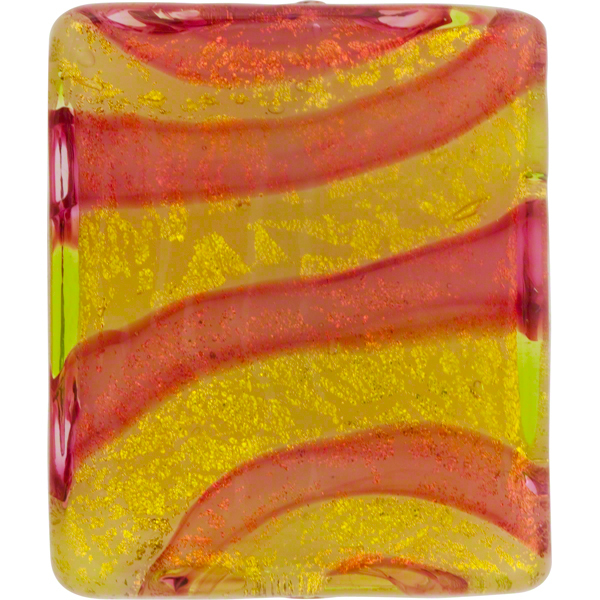 Authentic Murano Glass Beads in the Missioni design, named after the famous fashion house in Italy. The size is approximately 36mm by 30mm rectangles and about 7mm thick with a 1mm hole which runs long ways through the bead. The bead begins with a base of opalino white which is wrapped in 24kt gold foil. Stripes of peridot and rubino encase the 24kt gold foil and the bead is then entirely covered in clear Murano glass.